Connect with LeadBoxer to sync capture leads or customer contacts to your Zenkit database for your CRM needs. LeadBoxer helps businesses to collect, enrich, analyze, and score a wide range of online lead and customer information. It captures all online behavior, such as website traffic, newsletter reads, and clicks, and many others to create a unified and single 360 view of all your online users. LeadBoxer can further transform the data into insightful and actionable notification. 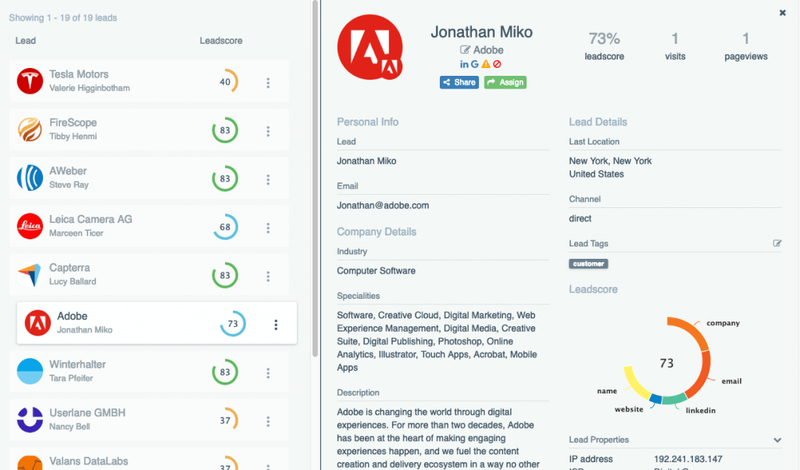 With LeadBoxer, you can get qualified leads, more opportunities to upsell, and valuable insights from your online audience so that your sales team can contact the right person at the right time. Create an account with LeadBoxer. Log into Zapier and go to the Zenkit + LeadBoxer Zapbook to find Zap templates. Or choose to create your own Zenkit and LeadBoxer integration by selecting them when you create a zap.